Gnocchi with roast squash and garlic cream; ginger, lime and chili chicken with peanut sauce and cider and thyme glazed beets. These are just some of the mouth-watering recipes on the menu at FoodWorks, an employment program and thriving social enterprise created by Operation Come Home. 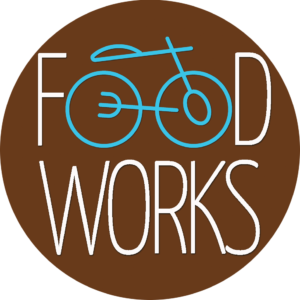 FoodWorks provides at-risk youth the opportunity to gain valuable work experience. Over a three-to-six-month period, they train alongside professional chef Bruce Wood, preparing fresh, wholesome meals and delivering them to the homes of FoodWorks clients three days a week. As is often the case, when our Grants Committee recommends that a particular application receive funding, we share the idea with donors whose interests might align with the project. With a long history of supporting initiatives that empower youth to overcome adversity, a donor who relies on the Ottawa Community Foundation to help her meet her philanthropic objectives provided a grant of $45,000 over two years to staff the kitchen and buy equipment to run the program. “If it weren’t for the grants, we would have struggled a lot more to get the program up and running and we would not have been able to create as many jobs,” explains Lynda Franc, the Director of Development for Operation Come Home. 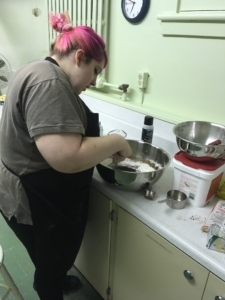 Ellen Watts, a former participant of the FoodWorks employment program, has used her new culinary and life skills to help her find meaningful employment. As the program grows, they’ll be able to hire more youth and create more training opportunities for people like Ellen Watts, a FoodWorks employee. She firmly believes that the FoodWorks program has had a positive impact on Ellen’s life. And based on her journey so far, it certainly has. Since completing her contract with FoodWorks, Ellen secured a job in a grocery store and continues to thrive. She was recently invited to share her story as part of Operation Come Home’s Breakfast on the Rideau event, where at-risk youth share their success stories. With the funds raised through the social enterprise, Operation Come Home invests in additional employment, education, and support programs and services for youth 16 and up. Operation Come Home also offers young adults the support to finish high school or start a small business. By engaging vulnerable youth through their interests, they’re then able to halt the cycle of poverty. Over the last three years, 35 youth have gone through the FoodWorks program, with approximately 75 per cent of the graduates going on to find and maintain employment for at least three months. 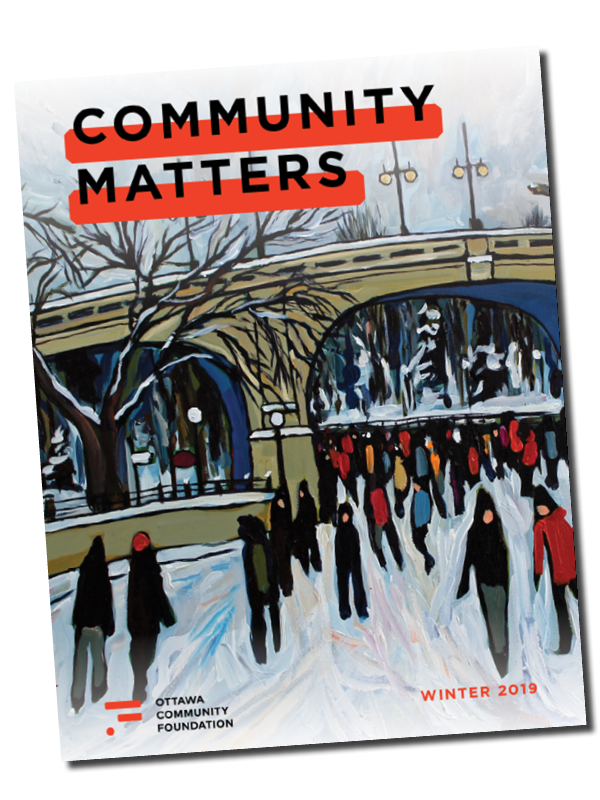 The Ottawa Community Foundation continues to be a proud grantmaker to a broad array of causes in our community. Our flagship Community Grants Program has two deadlines per year for applications. Please check out the program’s section on our website for more information.